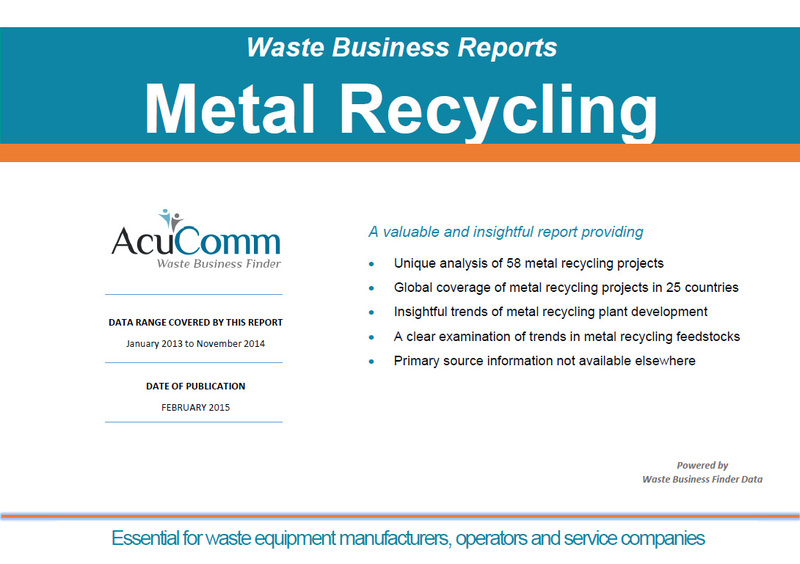 In the week ended 26th April 2015, AcuComm added new or updated projects to our Waste Business Finder database, worth an estimated US$5,916 million and reported waste capacity of 4.2 million tonnes. This takes the cumulative total to 3,135 projects since 2013, with a total estimated investment value of US$347 billion. To see all of the projects in our Waste Business Finder database, click here. Each new waste project represents on-going investment of an average of nearly US$100 million. Wood-based feedstocks account for around one fifth of all new investment in waste technologies, reflecting a move away from traditional power generation in many countries. WtE incineration projects represented over 70% of reported new or planned waste project capacity in February 2015. The environmental benefits of metal recycling allied to the return on investment in the long term is a characteristic of the sector. Metals recycling plant expansion and development continue despite recent price volatility in the market. The latest in the series of NNFCC’s annual Anaerobic Digestion deployment reports has been published in the UK, providing a comprehensive breakdown on sector development in Scotland, Wales, Northern Island and the 10 regions of England. The report includes information on feedstock requirements, installed capacity and the output type for all projects. NNFCC is an international consultancy, specialising in the conversion of biomass to bioenergy, biofuels and biobased products. Their report comes at a time where the AD industry in the UK is thriving with a total of 185 operational plants, following the commissioning of 50 new plants over the past 12 months and over 500 in the development pipeline. In order to operate, AD plants in the UK currently require around 2 million tonnes of food waste, over 600,000 tonnes of manure or slurry and 1.2 million tonnes of crops on top of over 200,000 tonnes of crop waste. Developing plants require over double these figures. The 185 operational plants provide electricity to around 350,000 homes, but those that are in development could provide a further 250,000. Of these operational plants in the UK, 102 are farm-fed and 83 are waste-fed. For the 500 that are under development, 343 are farm-fed and 157 waste-fed. 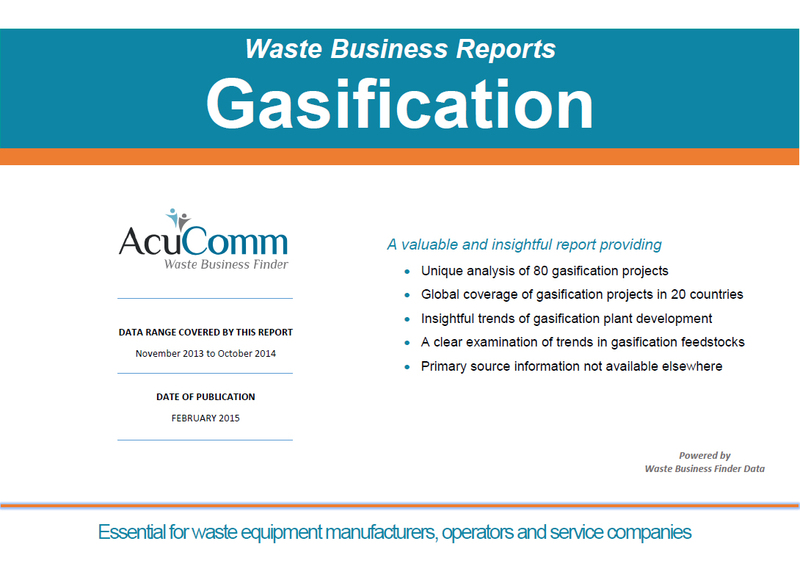 Take a look at more of the projects in detail through the AcuComm Waste Business Finder here. We are delighted to congratulate our client PpTek for their Queen’s Award for Export Achievement 2015, announced in yesterday’s Queen’s Birthday list. This is recognition of their export achievements from 2010 – 2014, which have grown significantly each year. PpTek now export to countries all over the world, such as Chile, Argentina, Thailand, New Zealand, Canada and USA. PpTek is a company based in the UK who work with universities to develop the regenerative media that is used in all their siloxane removal systems (SRS). This product is exclusive to PpTek and is good for the environment. Over the last five years, all the staff at PpTek have made a huge effort in designing special products and offering sales and service support for customers all over the world. Congratulations to all the team at PpTek, we wish you the best of luck and hope that you continue your growth over the coming years. In the week ended 19th April 2015, AcuComm added new or updated waste projects to the Waste Business Finder database worth an estimated US$4,774 million, with a reported waste capacity of 2.1 million tonnes. The takes the cumulative total to 3,065 projects since 2013, with a total estimated investment value of US$323 billion. Biofuel is a popular method to boost power generation capacity, making use of waste agricultural by-products. Substantial investment is taking place in developing countries, as well as the more established and familiar markets. In the week ended 12th April 2015, AcuComm added new or updated waste projects to our Waste Business Finder database, worth an estimated US$4,253 million and reported waste capacity of 3.2 million tonnes. This takes the cumulative total to 3,047 projects since 2013, with a total estimated investment value of US$318 billion. The USA, Europe and Asia are all major investors in new waste technologies, each tailored to meet their specific needs. Integrated facilities – where waste can be sorted and sent for appropriate treatment on a single site – are an increasingly attractive option in many countries. While MSW and biomass comprise the majority of waste capacity, niche sectors such as construction/demolition or industrial can offer good investment potential.